(SPOT.ph) Fact: It's not that easy to prepare something that's equally healthy and delicious for breakfast. These days, most busy folks don’t have the luxury of time to prepare for a good breakfast despite it being the most important meal of the day. Nutritious AND delicious! Underneath the whipped cream, vanilla, and maple syrup lies traces of chia seeds, oat dairy drink, banana and unsweetened cocoa. This smoothie requires you to refrigerate most of the mixed ingredients overnight or at least before breakfast, but setting it up in the morning only takes 5 minutes, tops. Extra tip: If the smoothie is too thick for your liking, you can add an extra splash of oat dairy drink! Click here for the complete instructions. Need your morning cup of joe to get you in your A game? No problem! 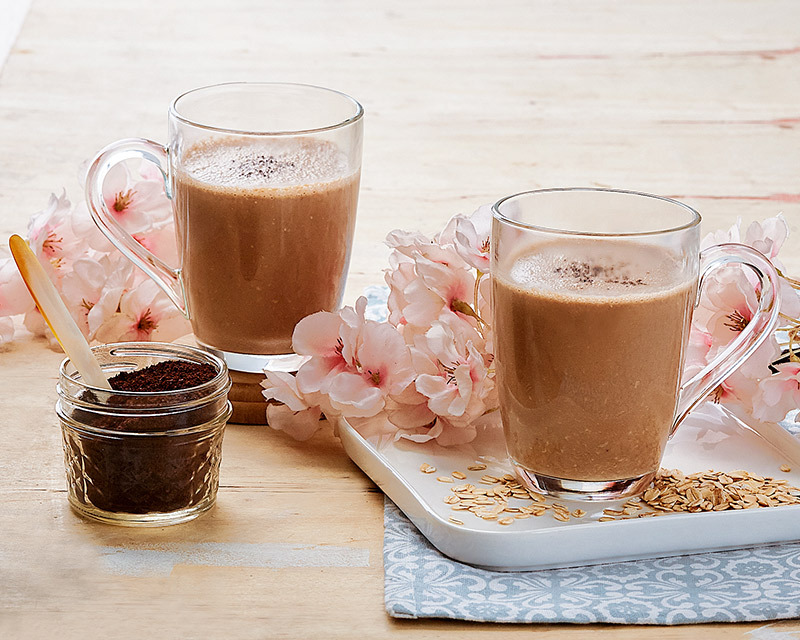 You can put in a shot of espresso to go with your chocolate and oat dairy drink. This is like the “Oat Drinks for Dummies” of all recipes! You just need a mug to mix all the ingredients and leave it overnight to chill. 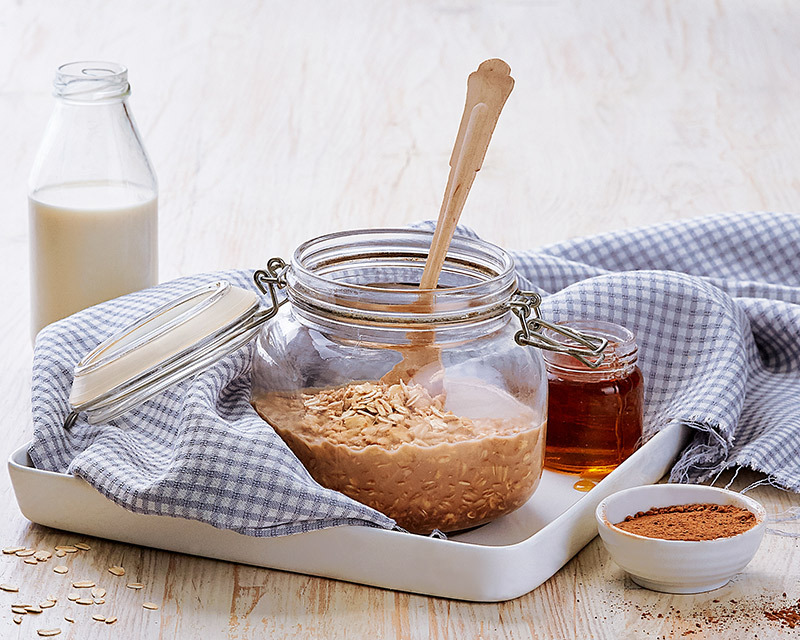 Extra tip: Instead of soaking the oats overnight, try using oat dairy drink to achieve the same effect! Yummy vitamin C mega-dosing, anyone? Fruits are best taken on an empty stomach! The base ingredients involve a mix of succulent fruits like mangoes, bananas, and pineapples. Add your oat dairy drink and orange juice with a few ice cubes, mix it with a blender and you’re good to go! Extra tip: You can get creative with the toppings--some people even put edible flowers on top of their smoothie! 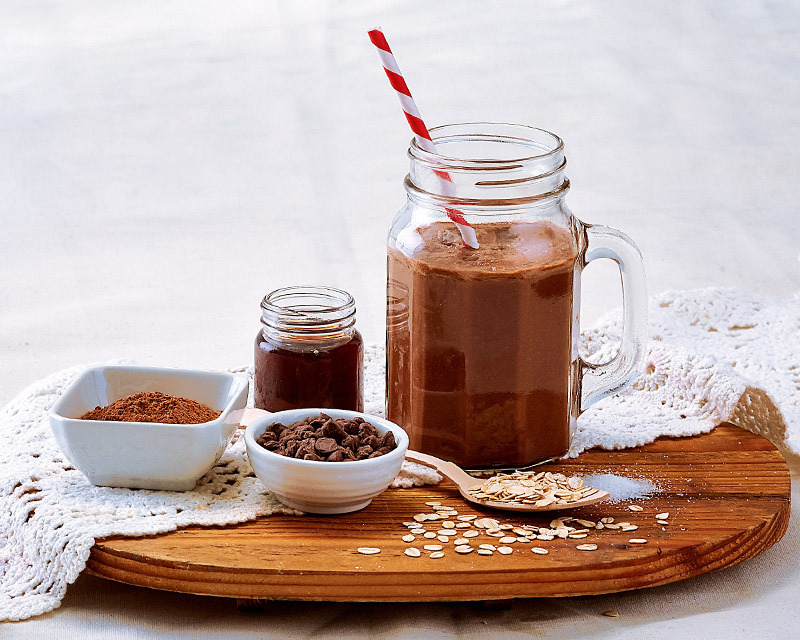 Get some happy hormone boost with endorphins from chocolate mixed with oat dairy drink. Throw in a banana to maximize your good vibes! If you don’t have a peanut allergy, you can add in a dollop of peanut butter to the blended mix. 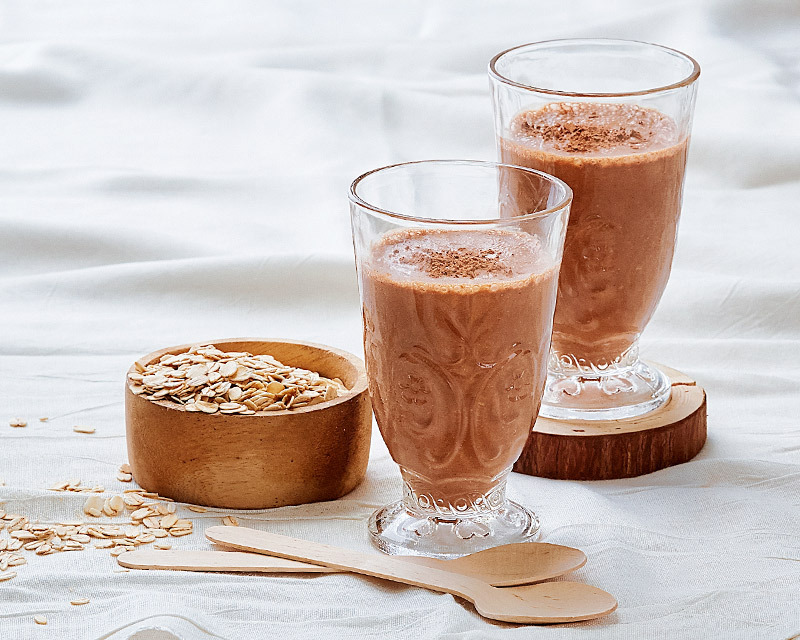 Extra tip: The oat dairy drink gives this smoothie a natural sweetness so you won't need to add any sugar. Be your own breakfast barista! 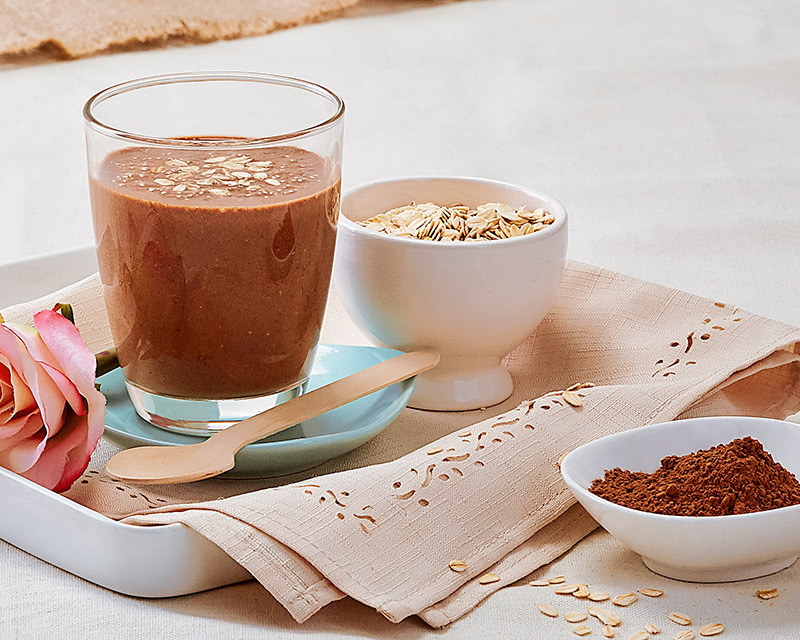 Fifteen minutes of blender action is all you need for this java loving smoothie. Get your energy boost and caffeine fix with strong chilled brewed coffee mixed with oat dairy drink and nut butter. Extra tip: Is the taste of brewed coffee too strong for you? Add more oat dairy drink to balance the taste! If this does not give you enough energy to get you through the day, I don’t know what else will! 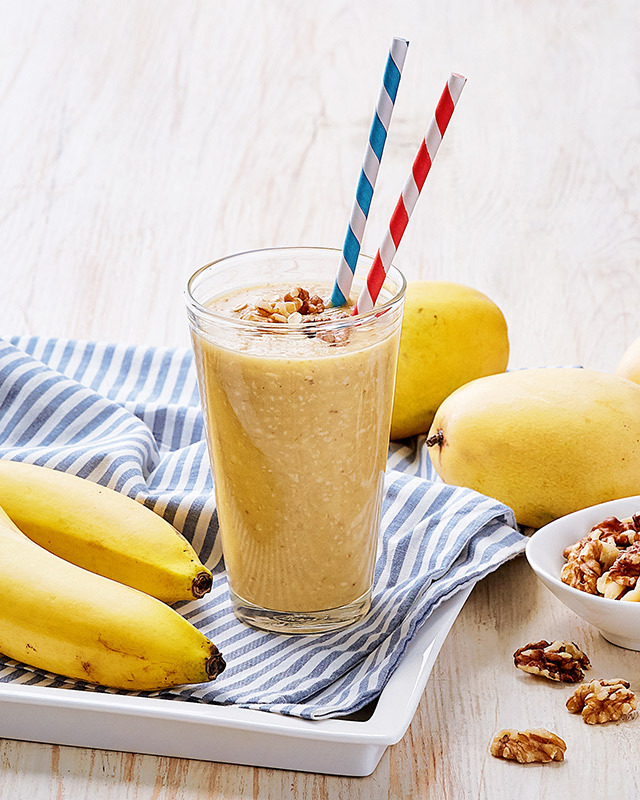 Mango + banana + oat dairy drink = Winning breakfast! Extra tip: This smoothie is great for kids--not only is it a good source of protein and antioxidants, but the oat dairy drink also helps boost your immune system. Four power ingredients converged in to form this powerful Mexican-themed breakfast meal. 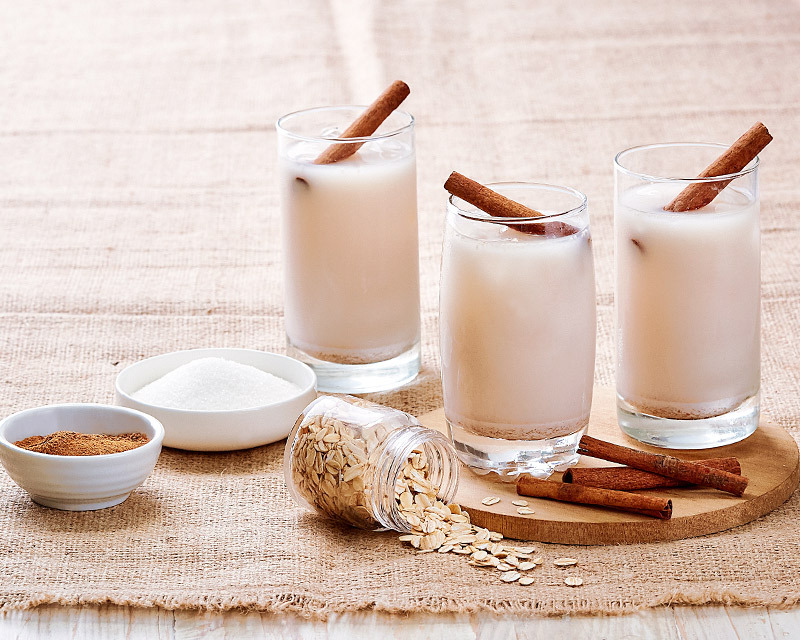 It’s a trusty combination of cinnamon, nectar, water, and oat dairy drink, best served cold. Quick, simple, and easy! 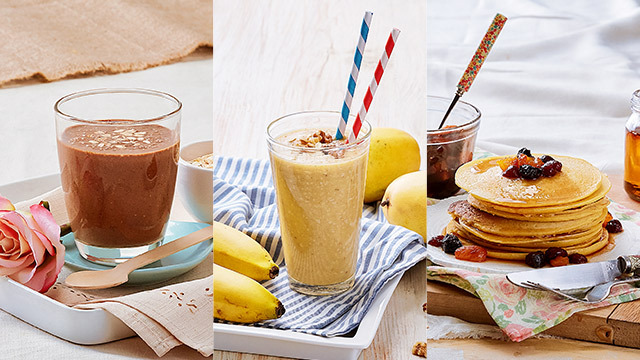 Extra tip: If there's blending involved, always go for oat dairy drink--it's easier to blend with other ingredients! Imagine this to usher in your morning: a Jack Johnson guitar song (Banana Pancakes!) playing in the background on your Spotify playlist while you make this fruity pancake goodness for breakfast. That’s a plate of heaven in a weekday’s mayhem, for sure! 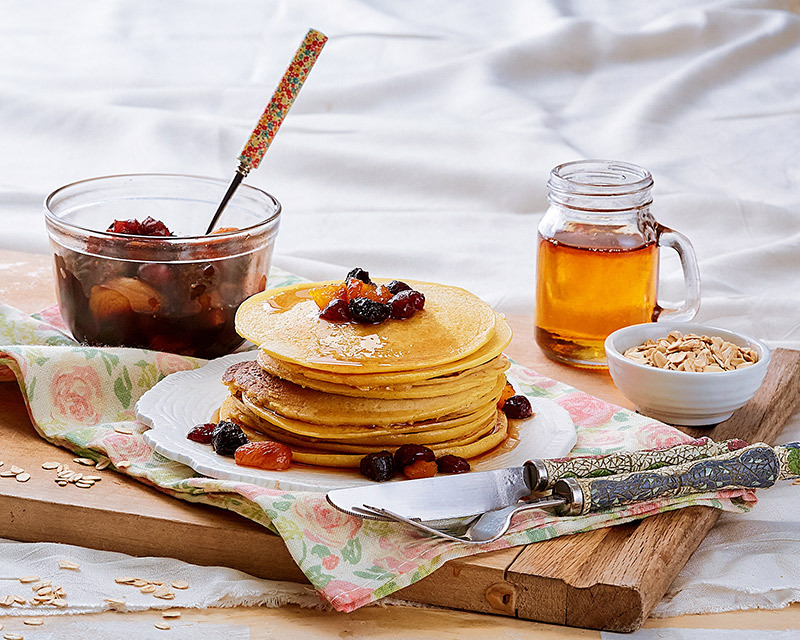 Extra tip: The oat dairy drink makes the pancake's texture extra smoother, as opposed to rolled oats. This is a fiber-rich concoction for breakfast ninjas in the making! 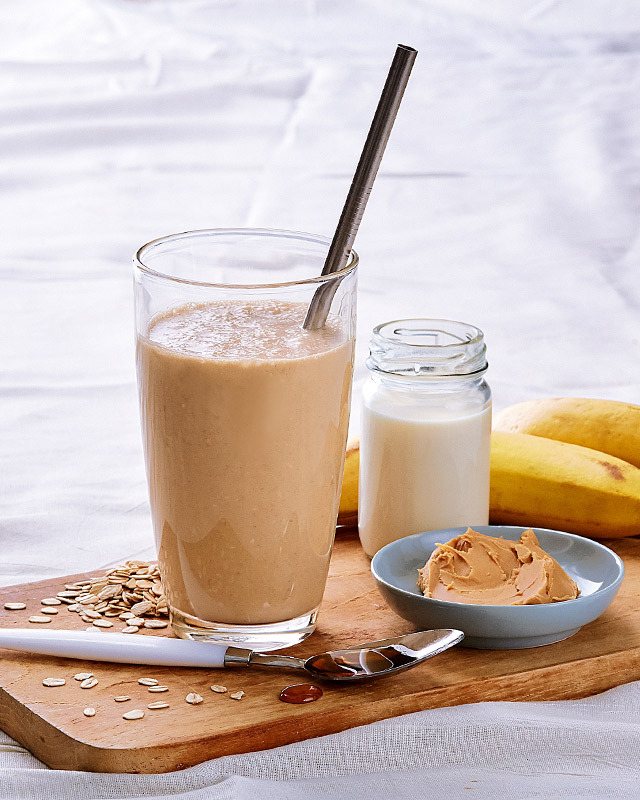 The oat dairy drink softens the entire flavor when mixed with peanut butter, banana, and honey. Extra tip: If you have frozen bananas on hand, use them in favor of fresh ones. It's a great way to use up leftover bananas! This is perfect if you need that early morning workout recovery drink handy! It’s a mix of all the goodness of espresso, oat dairy drink, protein powder, and Greek yogurt. Extra tip: Don't have any protein powder? Sprinkle some oats and add an extra dose of oat dairy drink instead! It’s fairly easy to indulge with these time-friendly recipes. While some of the best things take hard work, you can still engage in simple pleasures in a painlessly efficient manner. Recipes c/o www.yummly.com, www.foodnetwork.com, www.blenderhappy.com, and www.provitamil.com.